This graph is based on a 2015 survey, illustrating the behavior among adult U.S. consumers in regards to their openness to telehealth mental health services. Some 72 percent of responding consumers between 18 and 44 years of age reported that they are open to telehealth services. 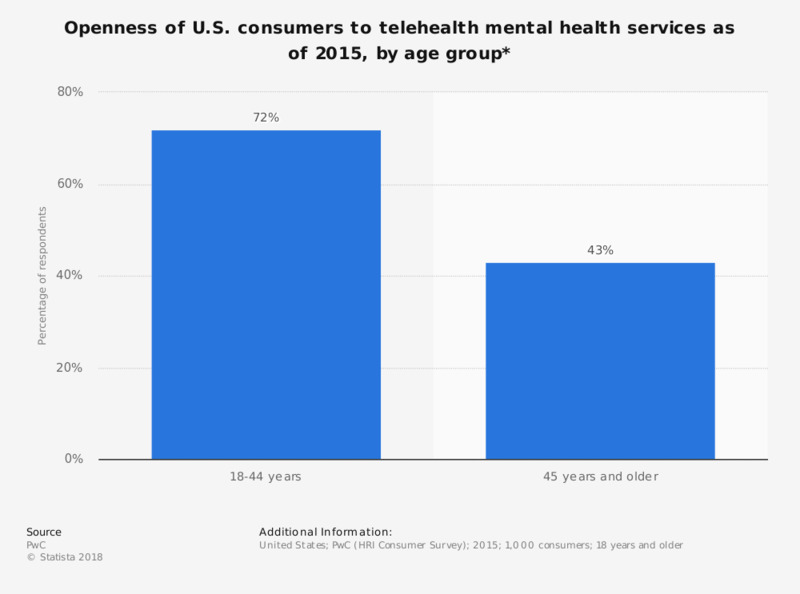 * Percentage of consumers willing to use telehealth services, such as videoconference, to consult with a mental health provider instead of an in-person visit.